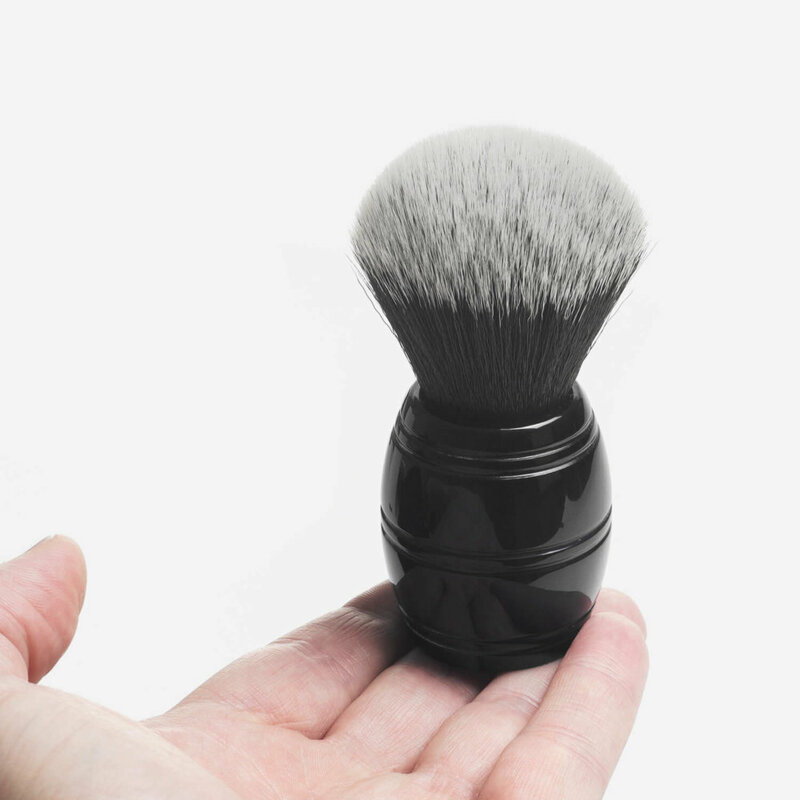 Shaving brush filled with Tuxedo Plissoft synthetic fibres housed in a solid resin handle. Synthetic fibre shaving brush with a ‘barrel’ solid black resin handle. 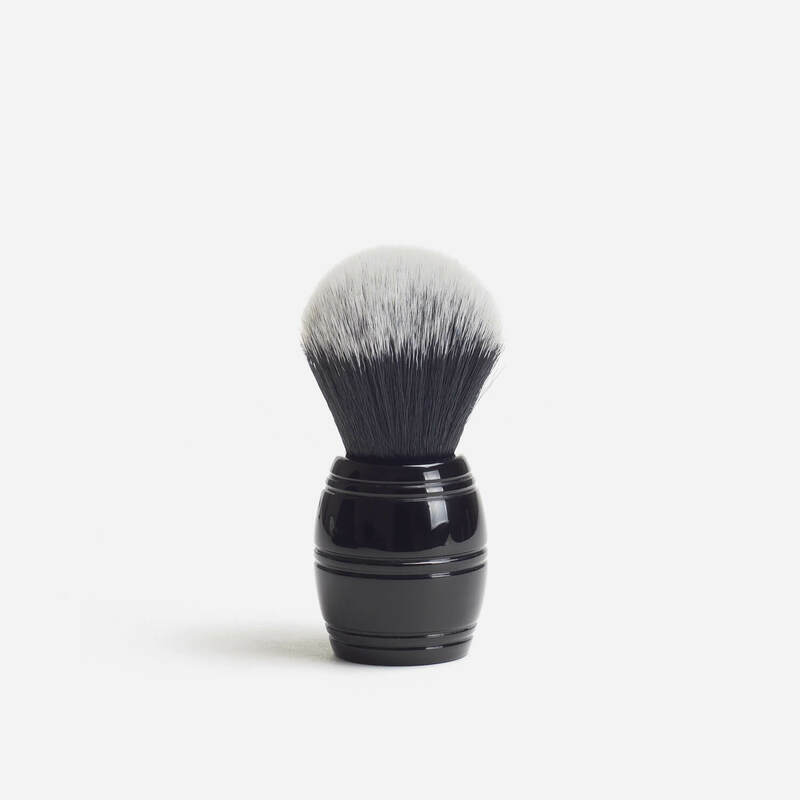 The brush is filled with RazoRock’s super-soft vegan friendly black and white Tuxedo Plissoft synthetic fibres. The Tuxedo knot offers slightly more ‘backbone’ than RazoRock’s regular Plissoft fibres. 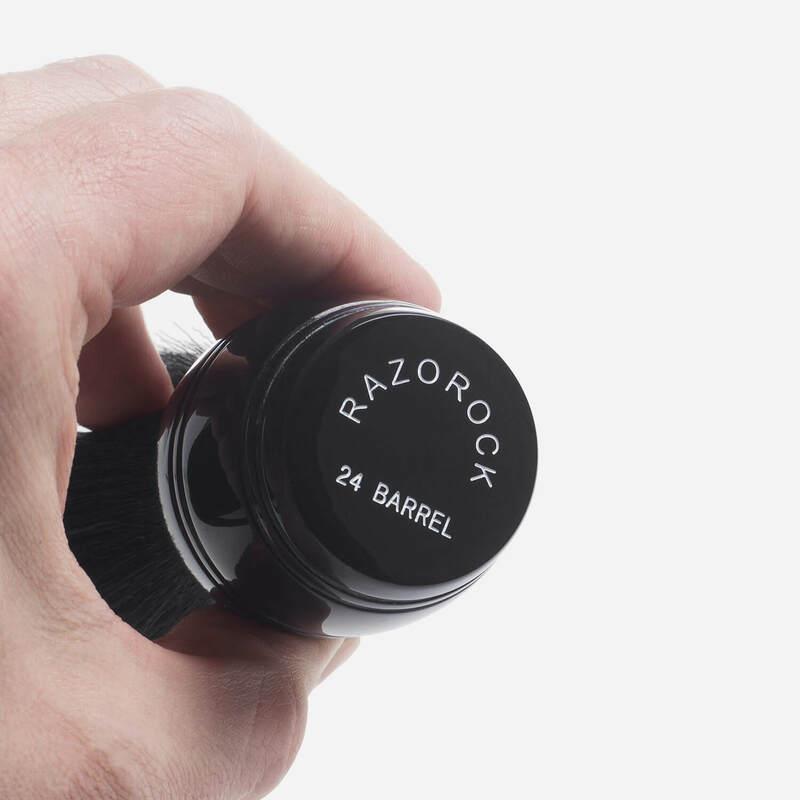 ‘RAZOROCK 24 BARREL’ etched onto the base of the handle. Great wee brush! Handle is surprisingly comfortable fitt such an unconventional shape. Cracking knot and very classy looking to boot.